Now that the ground-breaking Paris Agreement on climate change has entered into force, how do countries make good on their national commitments to tackle this global threat? Implementing these national plans – known as Nationally Determined Contributions, or NDCs -- will require countries to develop innovative policies, legislative and institutional frameworks, assess what resources they need and what financial sources they can use to bring their plans to life. They also must overcome economic and market barriers that slow the transfer and uptake of new, cleaner technologies. Such a monumental task requires more than a business-as-usual approach. To make a just transition towards a zero-emissions, climate-resilient society, governments, international institutions and other stakeholders need to identify new ways to share information, mobilize financial and technical resources and coordinate actions—globally and at the country level. That is why a broad range of governments, international institutions and non-state actors are coming together to launch the NDC Partnership, which aims to provide countries the tools, best practices and support they need to achieve ambitious climate and sustainable development targets as quickly as possible. The Partnership is focused on helping countries implement their climate commitments in ways that will transform economic systems and development priorities: how energy is produced, distributed and used; how cities are designed, how land is farmed, how forests are protected, how businesses operate and much more. Creating and sharing knowledge products, making sure countries have enhanced access to support, tools and resources. An early example of this is the NDC Funding and Initiatives Navigator, an easy-to-use online database of support programs and funding opportunities available to countries to assist them in implementing their national climate plans. Facilitating greater alignment of technical assistance and capacity-building efforts at national, regional and global levels, working to foster collaboration between environment and development agencies and ensuring that development efforts and climate action are mutually reinforcing. Working with developing countries, relevant institutions and the private sector to boost climate-smart investments and make development finance more coordinated and responsive to each country’s requests. The Partnership builds on existing initiatives and unites them with guiding principles that point countries’ efforts in the same direction. Members of the Partnership are committed to enhance efficiency, build in-country capacity and improve coordination of NDC-related activities in countries and around the world. They also have pledged to promote long-term action that aligns with the goals of the Paris Agreement. That means integrating NDC implementation into national planning and decision-making, advancing both climate adaptation and mitigation, while merging strategies for sustainable development and climate action. The Partnership recognizes that countries are in charge when it comes to identifying their needs and providing tailored support. How countries implement their climate commitments and how donors provide support to developing countries will need to change in profound ways. The Partnership aims to make sure support for developing countries is responsive, inclusive and effective – and ultimately drives greater ambition. 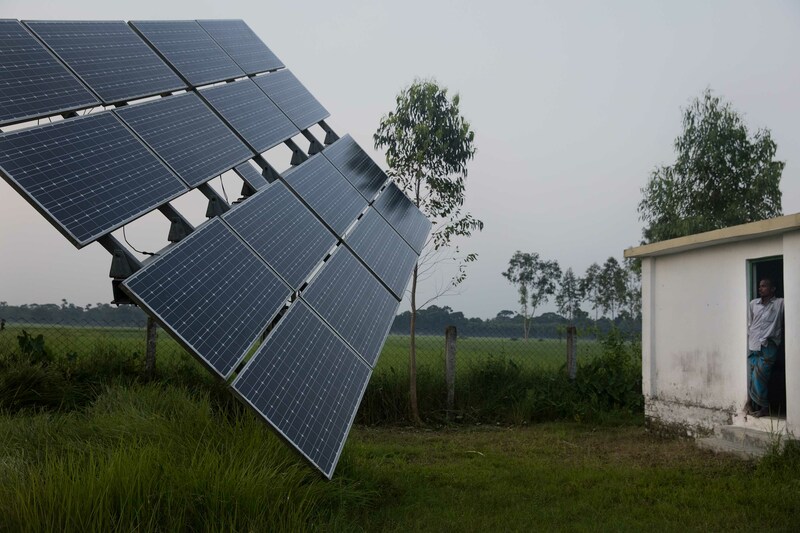 If the NDC Partnership can provide technical, financial or other support that increases countries' ambition and continues the movement towards low-carbon development, it will be a success. We welcome you to join to us at COP22 on November 15 for the launch event of what will be one of the major outcome of COP22 – register here.